PostgreSQL or Postgres is a powerful high-performance object-relational database management system (ORDBMS) released under a flexible BSD-style license. PostgreSQL is well suited for large databases and has many advanced features. PostgreSQL is available for many operating systems including Linux, FreeBSD, Solaris, and Microsoft Windows. 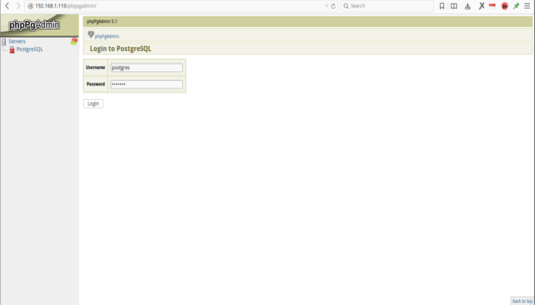 PhpPgAdmin is a PHP based web application for managing PostgreSQL databases. With Phppgadmin, it is easy to create a database, create a role and create tables in Postgres. 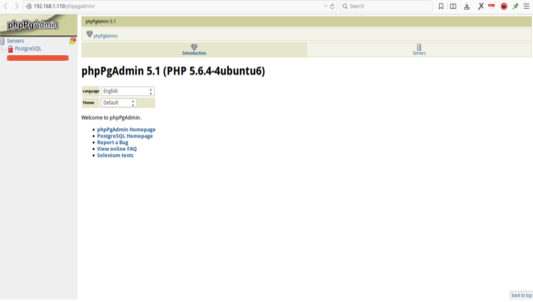 This tutorial will show the installation of PostgreSQL and its web-based administration interface phpPgAdmin on Ubuntu 15.04. Install PostgreSQL, phpPgAdmin and Apache2. PostgreSQL and PhpPgAdmin are available in the Ubuntu repository. So you just need to install them with the apt command. The above command will automatically install all packages needed by PostgreSQL, like Apache, PHP etc. Comment out the line #Require local by adding a # in front of the line and add below the line allow from all so that you can access from your browser. Find the line $conf['extra_login_security'] = true; and change the value to false so you can login to phpPgAdmin with user postgres. 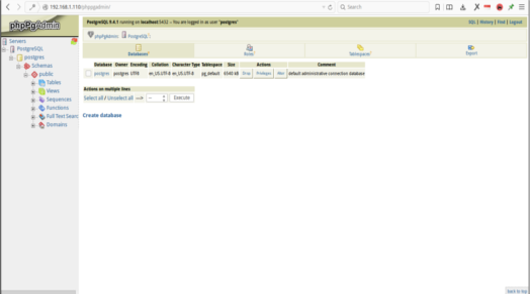 Now access phppgadmin with your browser http://yourip/phppgadmin/. 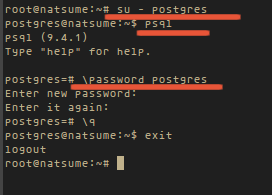 and then try login to with user postgres and your password. PostgreSQL is an advanced object-relational database management system (ORDBMS), it is Open Source and has a large and active Community. PostgreSQL provides the psql command line program as primary front-end, which can be used to enter SQL queries directly, or execute them from a file. phpPgAdmin is a web-based administration tool for PostgreSQL written in PHP that make the administration of Postgres databases easier.